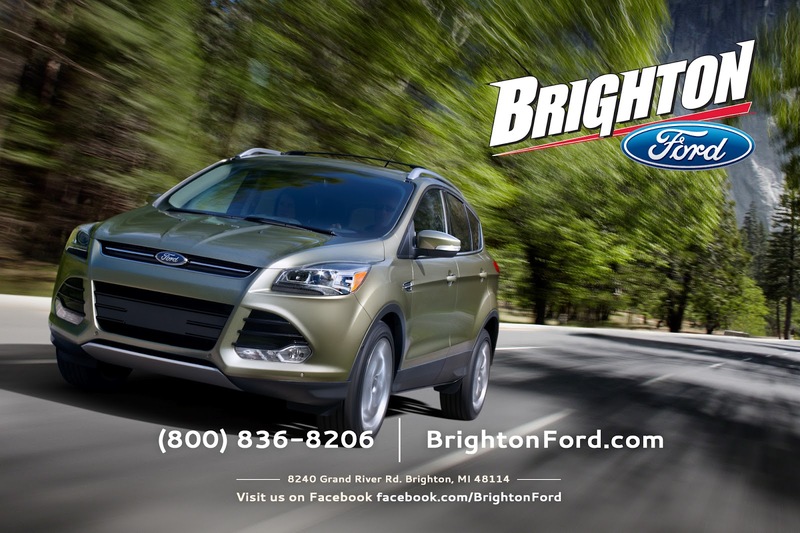 Brighton Ford : The 2013 Ford Escape Review Brighton, MI – The 2013 Ford Escape is Here at Brighton Ford! The 2013 Ford Escape Review Brighton, MI – The 2013 Ford Escape is Here at Brighton Ford! BRIGHTON, Mich. May 25, 2012 – We just got our first shipment of the new 2013 Ford Escape here at Brighton Ford. We have been eagerly awaiting the arrival of the 2013 Ford Escape since its unveiling and now its finally here! We had the opportunity a couple months back to share a sneak peek of the 2013 Escape but we didn’t get a chance to take it out for a spin, but now we can. The new 2013 Escape was a dream to drive. The EcoBoost engine provided the powerful feel of the V6 but was providing the fuel economy of a 4-cylinder. The intelligent 4WD system is something to take note of as well. When your driving power is shifted between wheels to provide you the most stability and control possible and you can see the transfer of power on the LCD driver display monitor. The new 2013 Ford Escape like many new Ford vehicles, has the available SYNC technology with MyFord Touch which allows you to access your smartphone, use navigation features, get a vehicle health report, and use the climate control features among other things with just the flick of a button and the sound of your voice. My favorite feature by far is the available hands free liftgate. Simply making a kicking motion under the blue oval opens and shuts the liftgate – perfect if your hands full of groceries or golf clubs. We had heard dome criticism about the size and look of the new Escape. The notion that the new Escape is smaller is false. You actually have a few more cubic feet of cabin room than the previous model year had. As far as looks go, the new 2013 Ford Escape is FRESH! When you actually see it up close in person for yourself that the new design is a fresh take on the modern SUV/crossover. Big things come in small packages too. With the 2.0L EcoBoost Towing package you get up to 3,500 lbs of towing capacity – perfect for getting your boat or jet skis to Woodland Lake. Come into Brighton Ford today and take a spin and one and see for yourself just how amazing the new 2013 Ford Escape is. Take it home with you and be the first one on your block with the new Escape!